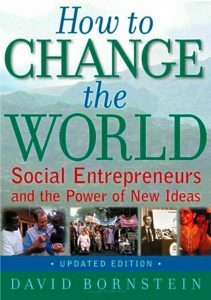 Published in over twenty countries, How to Change the World has become the Bible for social entrepreneurship. It profiles men and women from around the world who have found innovative solutions to a wide variety of social and economic problems. Whether they work to deliver solar energy to Brazilian villagers, or improve access to college in the United States, social entrepreneurs offer pioneering solutions that change lives.